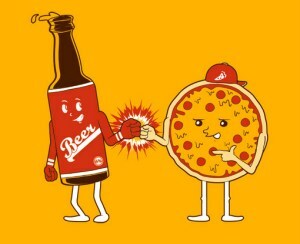 Beer & Pizza night! It's All fun and games! Greatest gaming night ever in Portland. Beer and Pizza night happens ever third Thursday from January through September. All adults (21+) from 6pm onward with the store closing at 10pm. Large selection of beers. Trade in tokens for a slice of beer or bottle of pizza – $10 for five tokens. All variety of games available with a packed house. Bring your own game or borrow one of ours, we have a huge game library. Upstairs we play social deduction games in the Level Up Room.